There was a point during Chris Hedges keynote address today when I could barely catch my breath. My chest was heaving, tears were leaking from my eyes and I wasn’t sure I would be able to stop. The Pulitzer Prize winning journalist had his audience enraptured at the United Opt Out Conference in Philadelphia Saturday morning. I’ve read Chris before. We’ve all read Chris before. But I had never seen or heard him speak. It was kind of like hearing a good sermon by a pastor who felt every word he said. And that really was it – Chris FELT every word. When I’ve read Hedges’ articles on Truthdig, I’ve found myself getting angry. He stirs me up. He disturbs me, makes me feel uncomfortable. And when I heard him speak today I was surprised that he seemed to be reacting the same way to his own words. When he talked about teaching teenage prisoners, he was emotionally invested in the story he was telling. When he criticized American neoliberal policies, he was just as angry as his audience. The only difference was that his sorrow and rage somehow became transformed in his throat into something akin to poetry. He turned the struggle of the oppressed into something beautiful. He transformed the hurt in my chest into something profound. He mutated my disturbance into a sense of actions-to-be. I won’t repeat the words he said. I’d never be able to reproduce them with anything resembling his eloquence. But I will remark on one of his closing remarks because it hit me like a splash of cold water. Rebellion, he said, is not about changing the world. It’s about changing yourself. When you stand up for what is right, you become a better person – whether you achieve your goal or not. In a sense, it doesn’t matter if we destroy the testocracy. But in trying, we transmute ourselves into something better. I don’t know if that’s true, but I’d like to think so. I don’t know if we will ever destroy the system of Test and Punish, but I know I can try. I know I can put myself on the line and damn the consequences. All weekend at the United Opt Out Conference we’ve been talking about rebellion and revolution. There’s no weak tea here in the City of Brotherly Love. No half measures. We’ve been discussing tearing the system down piece-by-piece. I think I’ve been trying to answer that question for a while now. Maybe a lot of us have. In a rational country, our demands wouldn’t be so radical. We want public schools centered on the good of all, not the profit of some. We want educationally valid curricula for our children. We want some control over the school system – both as parents and teachers. Is that so much to ask? Is that such a lunatic request? And as I listened to Hedges and Dr. Antonia Darder, Dave Green, Jonathan Pelto, Dr. Denisha Jones, Ceresta Smith, Yohuru Williams, Aixa Rodriguez and many, many others, I heard another timid voice begin to answer the first. The system of standardization and privatization of public education confronts students of color and impoverished students head on. They are in the front lines. Yet few people outside of activists seem willing to admit it. Perhaps the most impressive thing about this conference has been its ability to put issues of human rights at the center of the argument. That’s the essential concept. We’re not just talking about bad education policies. We’re not just talking about schemes for billionaires to make more money. We’re talking about the systematic oppression of a group of people and the widespread complacency and complicity of the majority of the populace. How do you combat such a monster without being revolutionary? How do you fight for your child without being a rebel? More has happened at this conference than I can adequately put into words. I’ve met so many incredible people. Some of them I knew, some I had met before, some had only been names I had seen on my computer screen. I will leave here Sunday feeling refreshed and energized, ready for the battles ahead. Am I becoming a better person? But I will keep fighting. Because I love my daughter, I love my students and I love all children everywhere. NOTE: This article was given a shout out on Diane Ravitch’s and Jonathan Pelto’s blogs. We’re getting closer to framing the right questions. Your question begs similar ones like, How much must we give? Sacrifice? Time? But that’s a passive luxury kind of question. An authentic, action-oriented individual might cut right to the chase. A Turing or a Tubman would ask, How many real one-percenters do we need to actually move people. The question implies knowledge of a process and accepts that there will only be a select few needed to apply the formula. Would like an opportunity to talk with you offline. “The bus debacle as a description of how our school operates on an everyday basis.” A school board talk given to the School Board of Palm Beach County, FL. February 17, 2016. Good evening. My name is Andy Goldstein. I’m a teacher at Omni Middle School and the proud parent of a seven-year-old daughter who attends second grade at one of our public elementary schools. I read with great interest the article by Palm Beach Post reporter Andrew Marra titled “Collision course: Inside Palm Beach County’s school bus crisis.” The article detailed our school district’s bus debacle at the beginning of this year, in which a rushed implementation of a new technology program for bus routes resulted in many of our students being late for classes and many of our disabled students not being picked up at all. There is always someone or some higher policy that is pointed to as the reason we are doing things in the classroom, regardless of whether they make sense. And many times they do not make sense. The judgment of our own teachers, is not even in the equation. We teachers have been deluged with a plethora of nonsensical policies flowing through our classrooms, and we and our students have suffered. But it hasn’t been “at times,” it’s been continuous, as part of an agenda to privatize our schools and make as much money off of our children as possible. And we, and our students have been subject to much humiliation. A year-round standardized testing schedule and diagnostic schedule that has cheated our children of authentic learning opportunities. The important thing, apparently is not to have an opportunity to teach and learn but to test. It doesn’t even matter if the tests make sense. as long as they are given. And some times, they don’t make any sense. I’ve started going around asking teachers an open ended question: “Do you find the diagnostic testing helpful.” So far no teacher I have asked has said that they find it helpful. Our school district is obsessed with policies that don’t help our kids learn. • Teachers stripped of their Step increments and relegated to a career at or near a beginning teacher salary. 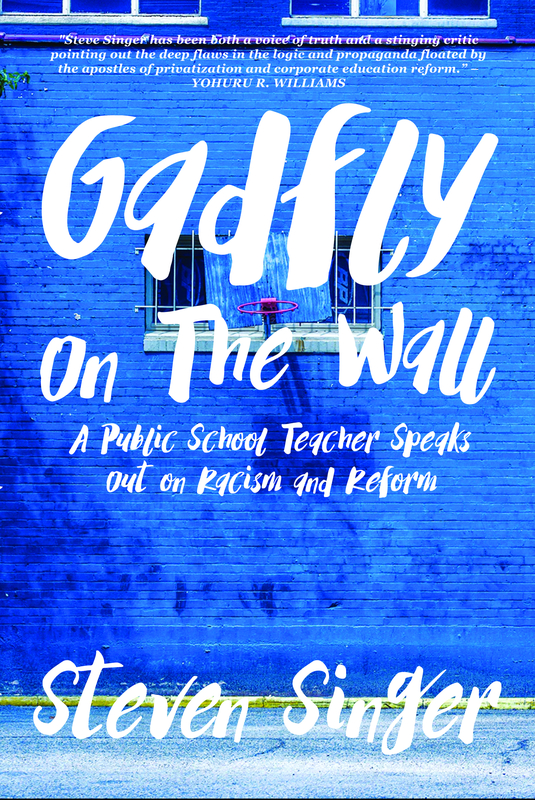 • Teachers put on relegated to an annual contract which disempowers them, strips their educator’s voice to stand for what’s right. • Students subject to dry test prep instead of authentic project based learning, cheating them of the joy of falling in love with the process of learning. Our principals say the nonsensical directives come from School District headquarters. In our school district, there is always someone pointing to a higher authority as to why we are implementing nonsensical policies. And our teachers strive to create an environment of teaching and learning despite the constant disruption of these nonsensical policies. This evening, at your Board workshop, you discussed involving stakeholders in striving to achieve the goal of having all of our children read at grade level by third grade. I was very inspired. Perhaps you could include our teachers among the stakeholders to achieve this goal, instead of leaving us out of the equation, as is usually the case. Reblogged this on Politicians Are Poody Heads.